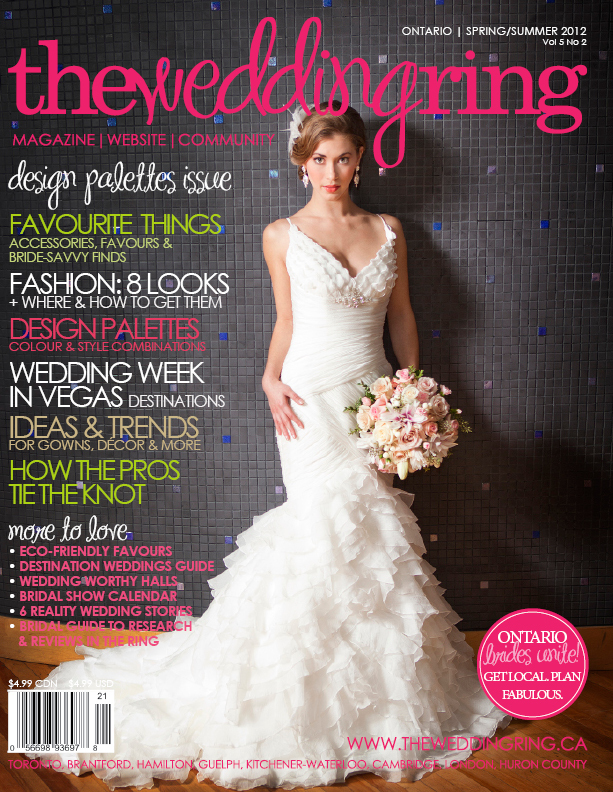 published… The Wedding Ring Magazine … Just another magazine cover…no big. 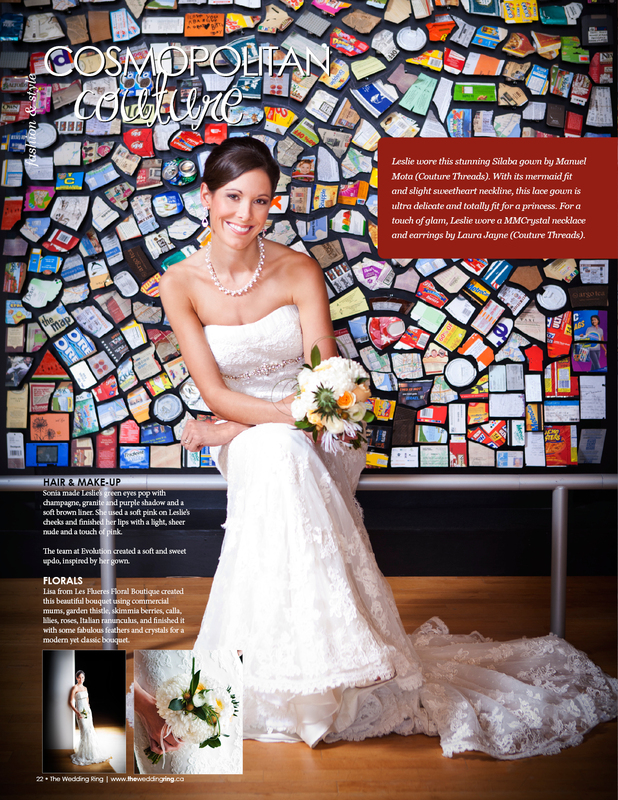 What happens when a group of wedding experts get together to create a great wedding photo shoot? A magazine cover of course! 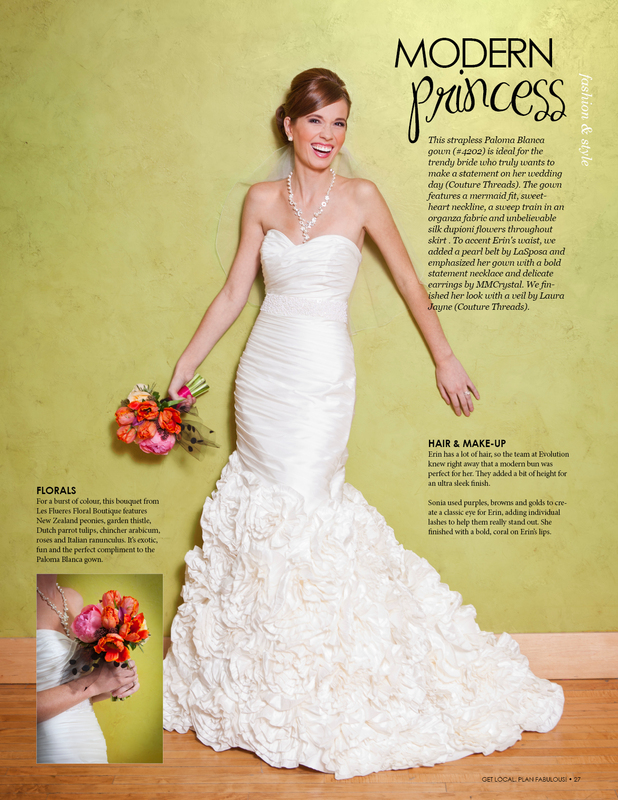 Plus a great fashion feature, all in the current issue of The Wedding Ring magazine. A big shout out to Sonia Ryan & Co for fabulous make up artistry, Couture Threads for supplying the gorgeous gowns, Evolution Concepts in Hair & Spa for …. naturally…. 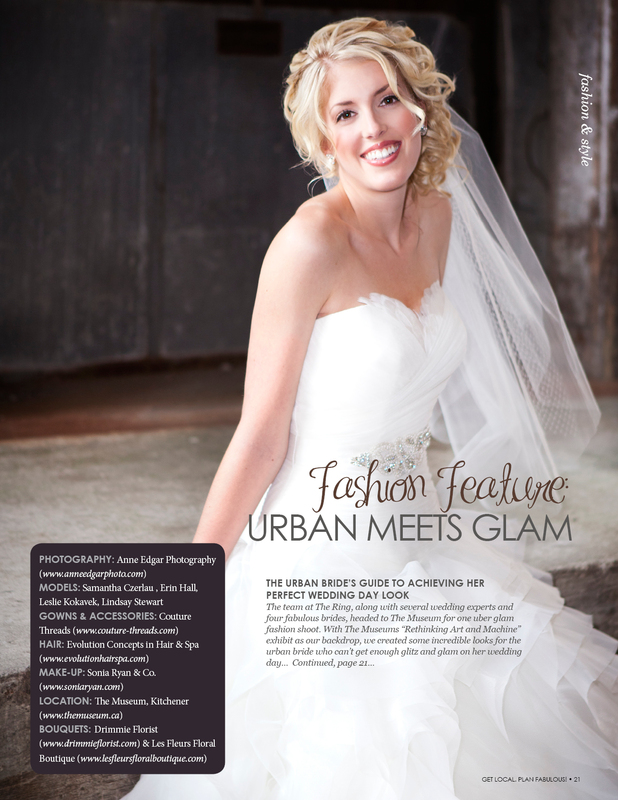 amazing hair, Drimmie Florist and Les Fleurs Floral Boutique for the uber pretty bridal bouquets, and finally our 4 spectacular model/brides – Lindsay, Leslie, Erin & Sam – who took time out of their busy lives to spend a day being styled & photographed in couture gowns & jewelry. Many thanks to The Museum, who opened their doors to us, allowing us to shoot in and around the ‘Rethinking Art and Machine’ exhibit. And finally, a huge thanks to The Wedding Ring for making it all possible. Happy days! Yay from Anne Edgar Photography.